Small is not really a word that you’d associate with the latest Volkswagen Polo. Even though it’s one of the most compact new Volkswagens that you can buy, the boot will take three large suitcases and the back of the Polo will accommodate two adults under 6ft (three is a squeeze). It looks and feels like a bigger car too, with a conservative exterior design; solid and clearly laid-out interior; and a comfortable, stable ride over poorly-maintained British roads. 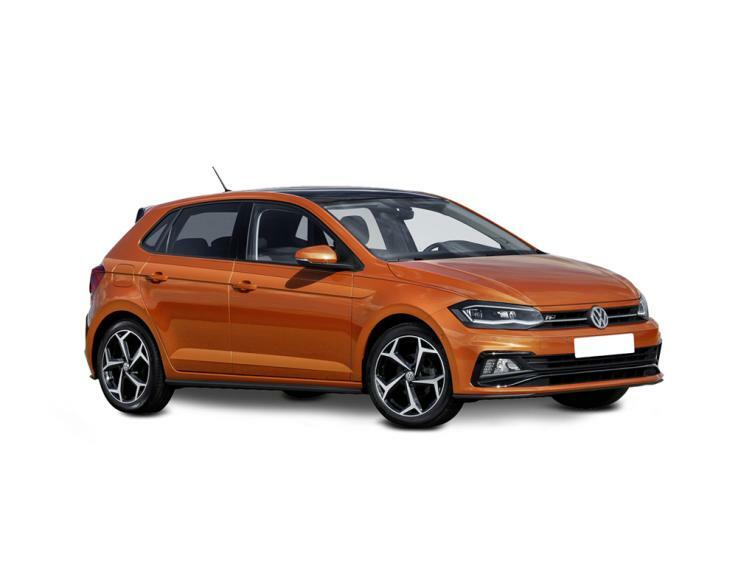 If you were considering a Volkswagen Golf or similar family hatchback, then the odds are the the Polo will suit you just as well - for a lower price. Brand new models start at more than £14,000 before discountsand nearly new 2018 Polos cost from £10,482 on BuyaCar. The Volkswagen's strong used values help to keep the cost of finance under control: monthly instalments start at £159. A cheaper option is the previous-generation Polo, which ended production in 2017. This has similarly grown-up design and performance, but has less space in the back and boot. Prices for these cars start at £6,123. The problem with the latest Polo’s spaciousness is that it’s no longer a small and nippy runaround. It’s now more than four metres long and approaching 1.8 metres wide, which makes it less manoeuvrable in tight spots. The approach has also been followed by the newest of its rivals: the Ford Fiesta and Seat Ibiza, which offer similar dimensions and interior space, although the Polo’s 351-litre boot is larger than the 311 litres in the Fiesta. For truly pint-size motoring, the Volkswagen up!, Hyundai i10 and Renault Twingo will give you much more chance of squeezing into a tight parking space. The diesel 80hp and 95hp engines return similar fuel economy, but the least powerful engine is the only one that you can buy in good-value SE specification. If you’re not covering high mileages, the SE 1.0 TSI 95 petrol offers a good blend of price, economy and performance. With acceleration from 0-62mph taking just 6.7 seconds, the GTI is the Polo to beat. February 2019 Least powerful 1-litre 65hp & 75hp petrol engines replaced 1.0 EVO 65hp & 80hp petrol engines. Each one of the seven trim levels features a different amount of standard equipment and comes at a different price. S is most basic, while GTO+ is at the top of the range. The engine's size is shown in litres (here it's 1.0). If that's followed by TSI or EVO, then the engine is petrol-powered. TDI motors are diesels. The final number is the power output in PS - a virtually identical measure as horsepower (hp). The automatic gearbox in the Polo is badged DSG. S is the cheapest Polo trim and you can tell. Costs are cut by fitting an all-in-one rear bench seat, which can't be folded in two separate parts. There are steel wheels, rear passengers will have to wind up their own windows, and the only engine available is a weedy 65hp unit. That said, air conditioning is standard, as is an 8in dashboard screen, which enables you to control your phone when it's plugged in or connected wirelessly by Bluetooth (but there's no Apple CarPlay or Android Auto to bring full app functionality). Automatic emergency braking, which can help avoid frontal crashes, is standard. The £800 upgrade to SE trim is worth it for the increase in engine choice alone: higher-powered petrol motors, a diesel and a petrol automatic can be fitted to SE cars which also add 15in alloy wheels, a leather trimmed steering wheel, rear electric windows, powered mirrors and a 60/40 split-fold rear seat. SE cars also have Volkswagen's Car-Net App-Connect, which includes Apple CarPlay and Android Auto, giving full use of compatible apps on the the touchscreen (including mapping, messaging, music and podcasts), as well as voice control. Beats trim is designed to attract younger buyers, primarily thanks to a powerful eight-speaker audio system, larger 16in alloy wheels and red highlights on the dashboard and upholstery. If you're downgrading from a larger car, then SEL trim won't feel too shabby in comparison, thanks to standard climate control, parking sensors at the front and back, mood lighting and sat-nav. However, it’s quite expensive and in the case of the automatic DSG version, for less than £1000 more you could have the genuinely sporty Polo GTI with even larger alloy wheels, sportier trim and a locking differential for better grip while cornering fast, not to mention its much more powerful 200hp engine. The Volkswagen Polo is a spacious and high-quality supermini with an upmarket image.